Born in Lewiston, Maine, Mr. Gillen graduated from the University of North Carolina at Chapel Hill in 1974, and Emory University School of Law in 1976. 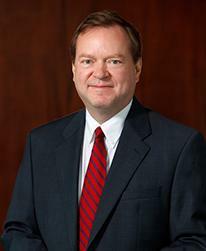 Mr. Gillen is admitted to practice in Federal and State courts in Georgia, in the District of Columbia, the Eleventh Circuit Court of Appeals, the United States Supreme Court, and has appeared as counsel in proceedings in numerous jurisdictions across the nation. State of Georgia v. V.S. Mr. Gillen secured dismissal of all charges against a State of Georgia legislator following an attack on the State’s charges against his client. In 2001, Mr. Gillen secured one of only two acquittals in the “Gold Club” prosecution in the Northern District of Georgia, which received extensive, nationwide coverage. Mr. Gillen, as lead counsel, obtained the only acquittal of an executive in the National Century Financial Enterprises prosecution, one of the largest private fraud prosecutions in U.S. history. Mr. Gillen obtained a verdict of not guilty for a Federal agent in Atlanta. © 2019 Gillen, Withers & Lake, LLC. All Rights Reserved.